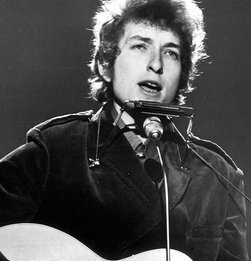 A guitar played by Bob Dylan at notable concerts in 1970s has sold at auction for nearly $400,000. Heritage Auctions in Dallas says a buyer requesting anonymity paid $396,500 for the singer-songwriter’s 1963 Martin D-28 acoustic guitar. The company says Dylan played the guitar through his set at George Harrison’s Concert for Bangladesh in New York City in 1971 and during his Rolling Thunder Revue tour from October 1975 to May 1976. The guitar was sold by Larry Cragg, who was Dylan’s guitar repairman. The original 1977 purchase receipt, which was included in the offering, shows Cragg bought the guitar from Dylan for $500. A Fender Stratocaster Dylan played at the 1965 Newport Folk Festival when he went electric sold for nearly $1 million in 2013.